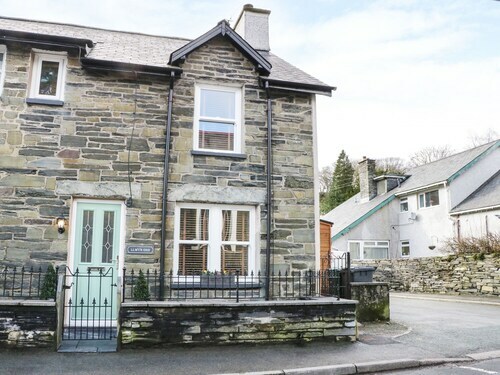 Situated in Betws-Y-Coed, this guesthouse is 8.7 mi (14 km) from Snowdonia National Park Visitor Centre and 10.8 mi (17.4 km) from Swallow Falls. Dolwyddelan Castle and Llechwedd Slate Caverns are also within 20 mi (32 km). Situated on a river, this inn is 8.5 mi (13.7 km) from Llyn Brenig Visitor Centre and 10.5 mi (16.9 km) from Swallow Falls. Llechwedd Slate Caverns and Bala Lake Railway Interpretive Centre are also within 25 mi (40 km). 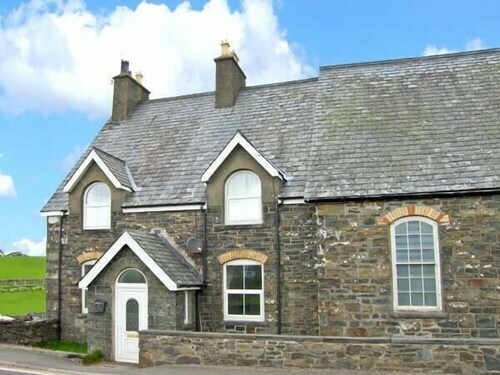 Situated in a rural location, this cottage is 8.3 mi (13.3 km) from Snowdonia National Park Visitor Centre and 10.4 mi (16.7 km) from Swallow Falls. Dolwyddelan Castle and Llechwedd Slate Caverns are also within 20 mi (32 km). Situated in Betws-Y-Coed, this cottage is 8.8 mi (14.2 km) from Snowdonia National Park Visitor Centre and 10.9 mi (17.6 km) from Swallow Falls. Dolwyddelan Castle and Llechwedd Slate Caverns are also within 20 mi (32 km). How Much is a Hotel Room in Pentre-Foelas? Hotels in Pentre-Foelas start at $92 per night. Prices and availability subject to change. Additional terms may apply. Within a 6-mile (10-kilometer) distance of the heart and soul of Pentre-Foelas, with Travelocity's booking page you can make a selection from a small, but excellent range of accommodations. You'll find 2 hotels and apartments within and around town that will satisfy your needs. There are only a few accommodation options located within walking distance of the center of Pentre-Foelas. The Llwyn Onn Guest House is an ideal choice as it is just 2 miles (3 kilometers) away. 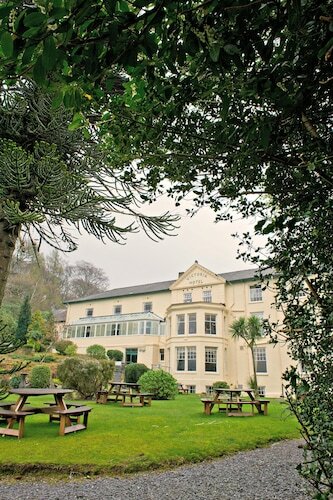 18 miles (29 kilometers) outside of the town center of Pentre-Foelas, you will find the Bodysgallen Hall & Spa. Alternatively, the Quay Hotel and Spa is positioned 18 miles (29 kilometers) away. 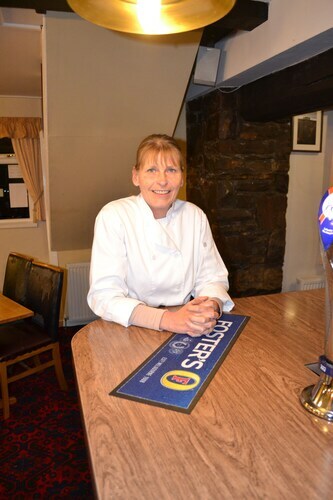 If you'd prefer, you could book the Craig-y-Dderwen Riverside Hotel or the Sychnant Pass Country House. Llangollen is 20 miles (33 kilometers) to the east of Pentre-Foelas and boasts Valle Crucis Abbey and Llangollen Bridge. When you spend a night or two in Llangollen, check out the Bridge End Hotel and Wild Pheasant Hotel. 25 miles (37 kilometers) northeast of Pentre-Foelas, you will find Prestatyn, which features the The Beaches Hotel and Prestatyn Sands Holiday Park. The Prestatyn Beach and Talacre Lighthouse are other popular attractions to check out when you're in Prestatyn. If watching stadium sport is the love of your life, make sure you visit Macron Stadium, which is situated 60 miles (96 kilometers) to the northeast of Pentre-Foelas. 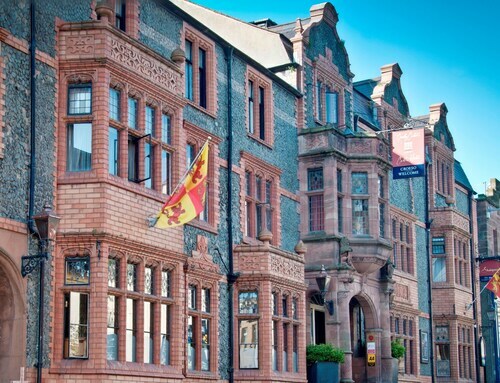 Those that hope to book a Travelocity-listed hotel in the area surrounding the game can read about the Mercure Bolton Georgian House Hotel or the Rivington Lodge. John Lennon Airport is 40 miles (63 kilometers) outside central Pentre-Foelas. Wise travelers who need to find a hotel nearby can book a room at the Crowne Plaza Liverpool - John Lennon Airport or the Hampton by Hilton Liverpool John Lennon Airport. Very pleasant stay. Hosts were most cordial and helpful. Spotless room, comfortable bed, and wonderful breakfast. Highly recommend. 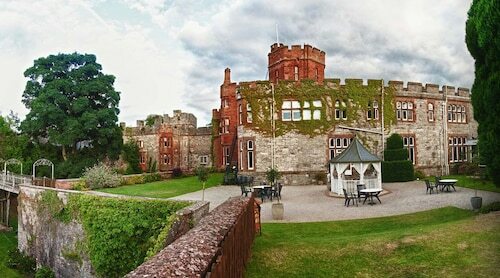 The Castle Hotel was conveniently located to the Conwy Castle. Availability of parking was a real plus. Our accommodations were spacious and comfortable. Staff was friendly and helpful regarding lodging and in the restaurant also. Thanks for a great stay. Eagles Hotel is a little gem carefully tended by it's owners Rupert and Rhonda. They are actively preserving and renovating to keep the place "new" with an intact 18th century feel. They are more than happy to help with local info and bookings. The front desk, Tanya and Karen, were kind and also extremely helpful and accommodating. 3.0 Great location but very noisy. Room on first floor extremely noisy due to loud guests in hallways after 10 pm. Staff made no effort to curb the noise. Walls must be paper thin.